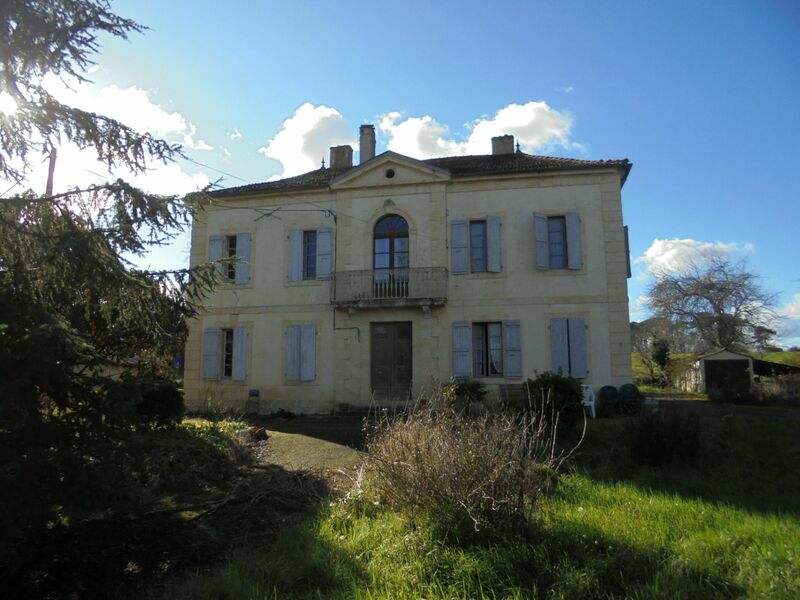 The property is along a country lane at 5 minutes from a little village with basic amenities. 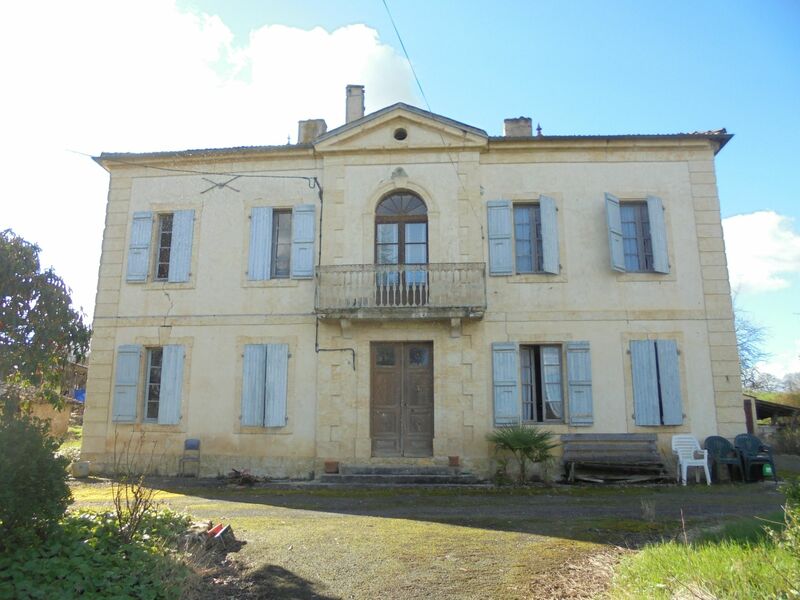 Typical Gascon farm house with central hall(27m²) with original floor tiles and staircase. Living room (26m²) with chimney, cupboards and terra cotta floor tiles. Kitchen(20m²) dining 26m² and room 20m². First floor : landing with balcony and 4 rooms(27m²,26m²,20m²,20m²). The attic space is convertible. 5000m² of garden with mature trees. Attached at the house is 80m² of chai/barn.